← Do Teachers and Personal Tutors Need Supervision too? So it’s a Wednesday afternoon and time for our third exclusive from Ben Walker and Andrew Stork‘s new book ‘Becoming an Outside Personal Tutor’. Enjoy and keep watching this space for more extracts throughout the week. Here, we define the personal tutor. 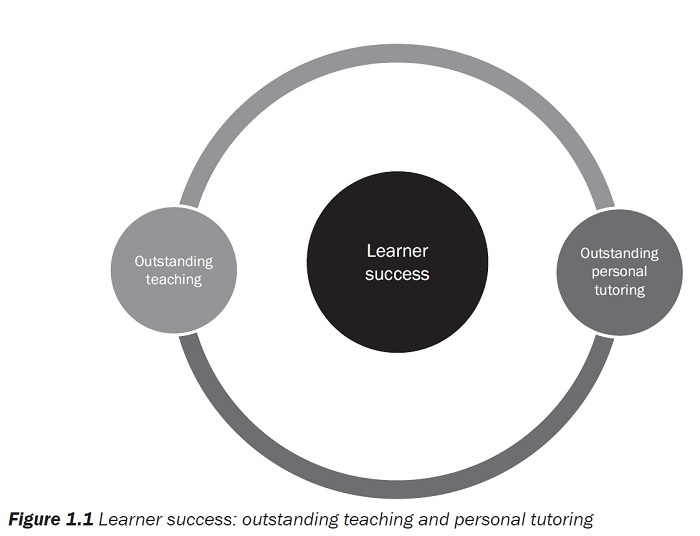 But remember, in this book we shall explore what it means to be an outstanding personal tutor. The personal tutor is one who improves the intellectual and academic ability, and nurtures the emotional well-being, of learners through individualised, holistic support. What constitutes emotional well-being is discussed later in the book. In addition to this definition, we want to bring in the highly important and valuable element of coaching. Personal tutoring and coaching can be seen as separate, but the model of the outstanding personal tutor includes coaching elements within it. For more information, please visit our website. See you all tomorrow!